There are 2 comments on “Over the Rainbow” in NYC Times Square on New Years! i didn’t know while he was living, nor had i heard his version of “over the rainbow.” but once i heard it, and saw his video, it became one of my favorite songs. i cry everytime for the beauty of his voice and spirit, becuz it comforts me and my friends whenever we lose someone and reassures us that they are never really gone. and neither is he. he lives in our hearts and souls. 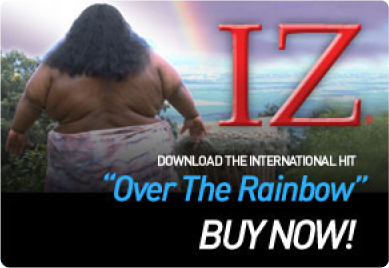 thank you, iz, for doing so much good.